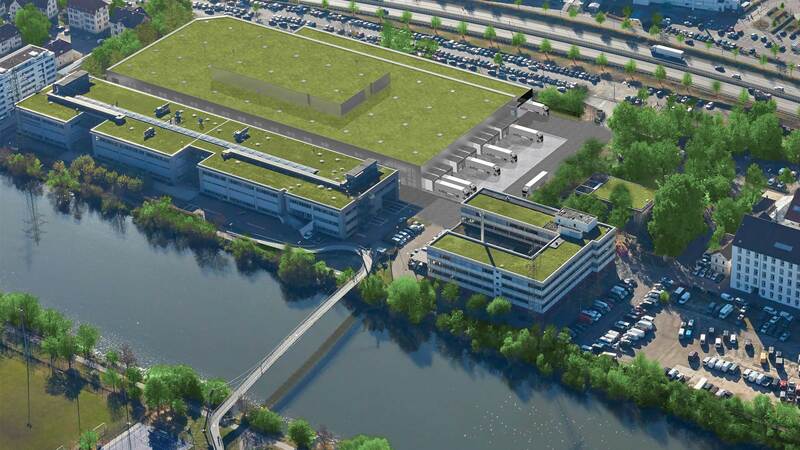 A new carbon-neutral battery factory at Brühl near Stuttgart will join Mercedes-Benz’s global battery production network comprising a total of 9 battery factories at 7 locations in 3 continents. By the end of the decade, the new batteries will power the future EQ products. L-R: Winfried Kretschmann (3rd) and Dieter Zetsche (4th). A foundation laying ceremony was held at the Mercedes-Benz Untertürkheim plant, in presence of Dieter Zetsche, Chairman of the Board of Management of Daimler AG and Head of Mercedes-Benz Cars, Winfried Kretschmann, Minister President of the German state of Baden-Württemberg, and other executives. The Lord Mayor of the City of Esslingen, Dr. Jürgen Zieger (2nd from left) hopes that the new factory will benefit both Esslingen and Mercedes, as the university city is home to well-trained mechanical and electrical engineering professionals. Mercedes-Benz is investing more than one billion euros in a global battery production network. 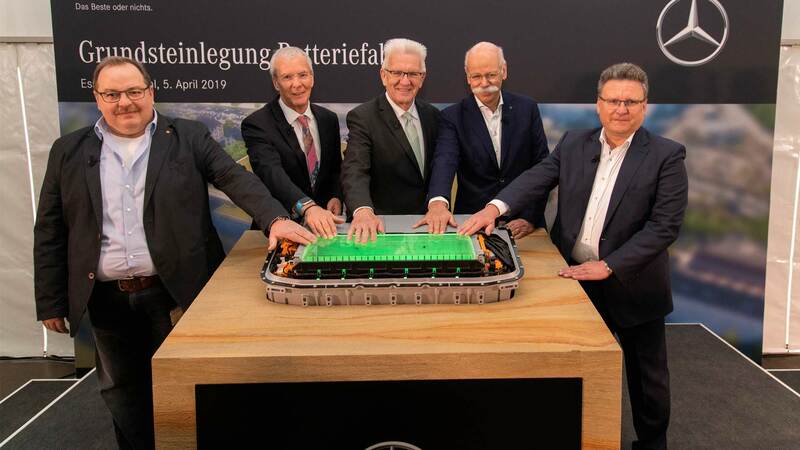 Daimler subsidiary Accumotive has already been producing batteries for hybrid and electric vehicles in Kamenz since 2012 and is currently building a second battery factory there, which will begin large-scale production of batteries for the EQC. Besides Brühl, two more battery factories are coming up in Hedelfingen and Sindelfingen Plant in the Greater Stuttgart region. In China, Daimler and JV partner BAIC are currently building a battery factory at the existing location in the Yizhuang Industrial Park in Beijing. Construction of a battery factory is also under way near the existing Mercedes-Benz plant in Tuscaloosa, USA. Together with local partner Thonburi Automotive Assembly Plant (TAAP), Mercedes-Benz is setting up a battery production plant in Bangkok, Thailand. Another battery factory is coming up in the Polish town of Jawor, where the three-pointed-star is building an engine production plant.